We will be exploring and demystifying some of the crafting industry's greatest mysteries! Helping to guide you in your card making journey from a weekend hobbyist, being on a design team or turning your hobby into a side business. Hear the stories from the people in the industry on how they built a business and made it happen. We're BACK! Well, sort of, I actually have my snarkleganger filling in for me as I am STILL not 100%. I can certainly tell you that I miss laughing A LOT. On today's podcast, I have Chris O'Hearn from the Strong Within Daily Affirmation podcast helping out with a special episode for you. 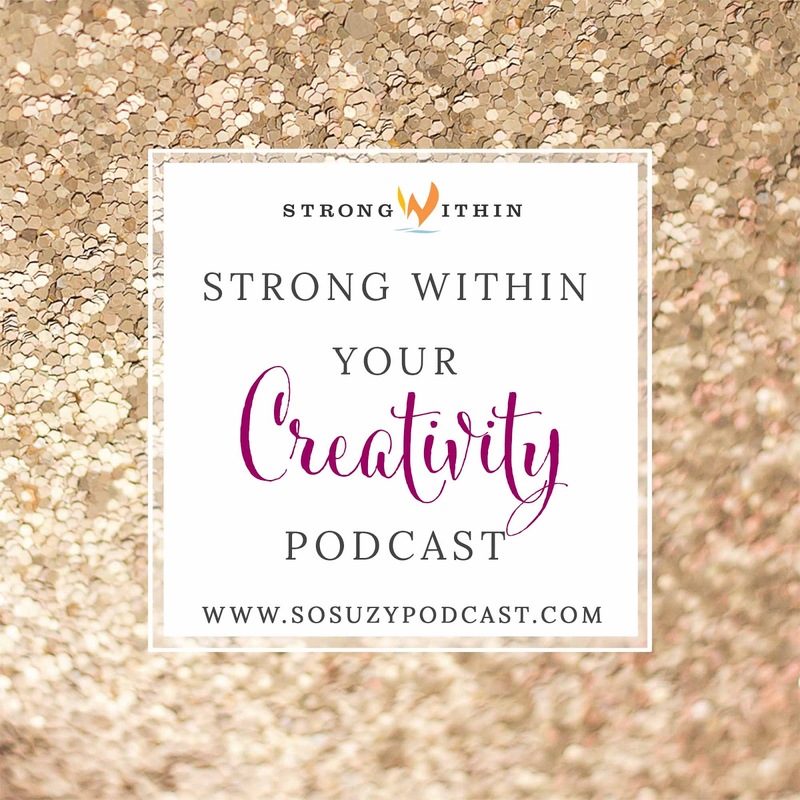 Today, Chris talks about how to be Strong Within Your Creativity. Now that Creativation is over, what to do you do now? How do you process? Should you follow up with those you met? How do you move past some of the heart aches? What do you do with all of the information you obtained, the friends you made, the memories you have and the connections you created? 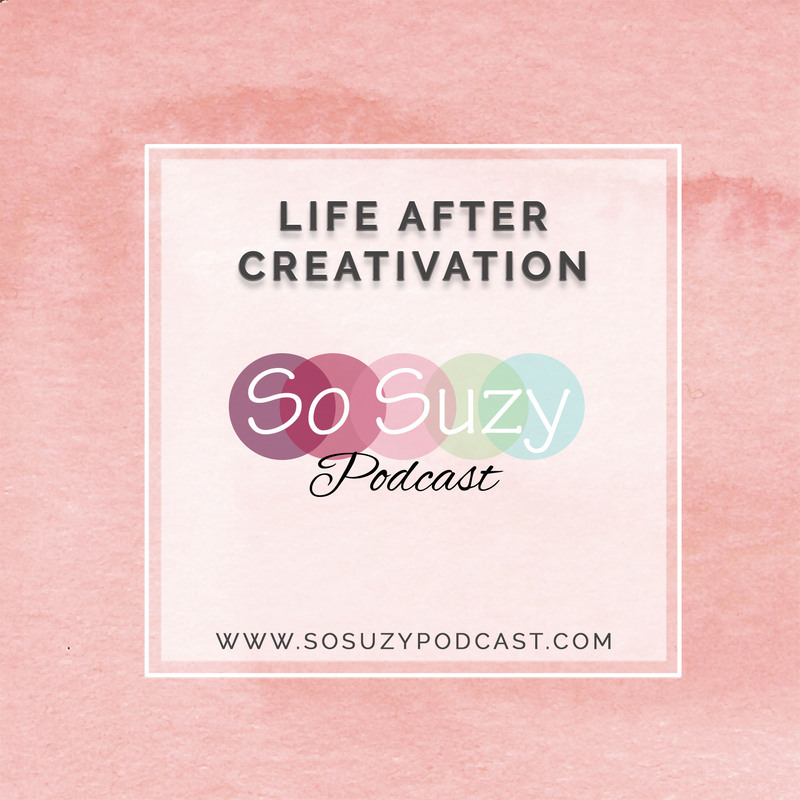 In today's podcast, we talk about the show, what you should be doing now that life is back to normal and identifying your focus. We are just a few days away from the Creative Event of the Year!!! AFCI’s Creativation starts this coming week, where thousands of creative geniuses will descend upon the Phoenix Civic Center in my home town of sunny Arizona for a week long creative fun fest. Full of learning, new products, friends, laughter and Javi Hours. Plus, yours truly will be speaking at 3 of their education workshops on Thursday and Friday, which I am quite excited about. If you are going to Creativation this year, you definitely need to let me know so we can plan a fun meet up! I am already working on Lesley’s Junior Mint Stash and Miss Laura from Crafty Not Shifty is totally hooking me up with Galaxy Hot Chocolate! I just love my crafty British friends. My favorite part of Creativation is being able to actually hug the incredible people I have interacted with on social media over the years. It always surprises me that I actually have never MET them, because it feels like we have been friends for ages. It truly is a surreal experience that I cherish. If you are planning on going to Creativation this year or in the future, there a few things to take into account before going. Regardless of whether or not you have been before. First things first, WHY are you attending? Are you going to purchase items for your shop? Are you hoping to make connections with manufacturers? Do you want to learn more about the industry and how you can grow your business? Is this an excuse to hang out with friends? Are you trying to expand your business by getting your products in front of buyers? Do you have plans to increase your social media reach and become an influencer within the creative industry? What is your purpose? What do you hope to get out of the event? Have you set goals for yourself? Maybe you are going just so you can experience a Stamp Junkie Javi Hour. Or you are using Creativation as a hard deadline for your special So Suzy Peacock Tote from Simply Charming Bags. Whatever your reason, know your WHY! The reason your why is so important is to help direct you during the craze of the event. If you are just there for the sake of going, there is a good chance you will be disappointed and disillusioned. Which is never fun. You could also inadvertently cause mayhem to someone else’s trip and that is just not cool. For example, Lesley Oman from Heffy Doodle is flying in from the UK for her very first Heffy Doodle Creativation booth in the hopes that she gets her stamp line in retail shops around the world. She has spent money on the trip, her booth and her goal is to sell her product. BUT let’s say that those people who are going just for the socializing, descend upon her booth and spend the entire weekend chit chatting with her. Lesley’s time is spent socializing with fans, instead of selling her stamps to buyers. The buyers are frustrated because they can’t purchase items for their shop, Lesley is disappointed because she didn’t make the sales she needed to justify her trip and Heffy Doodle customers do not benefit from their favorite stamps being in local shops. This scenario is a very real one and I have heard the frustration first hand from vendors as well as buyers. Not to say that the influencers, bloggers, fans and new followers aren’t important, because they are! They are what helps to drive demand, but there is a time and a place for everyone. And it’s up to you influencers, to be conscientious and courteous to the vendors and buyers. If you see someone with a buyer’s badge come up to the booth you are at, be polite and allow them to interact and talk with the people at the vendor booth you are in. With that being said, there is a time and place for everything and success is there for all. Which is why knowing your WHY is essential. I highly recommend taking the next few days and think about your WHY, write it down and think about how you can achieve the goals that come from your why. This will help you keep your focus and ensure that Creativation is a success for you and your purpose. If you have never been to Creativation, Thursday and Fridays are education days. It’s going to be a lot of learning, giddiness when you see your favorite crafting celebrity from afar and excitement when you meet your friends for the first time. This is also the perfect time to set up times to meet, have lunch, coffee, happy hours and dinners. 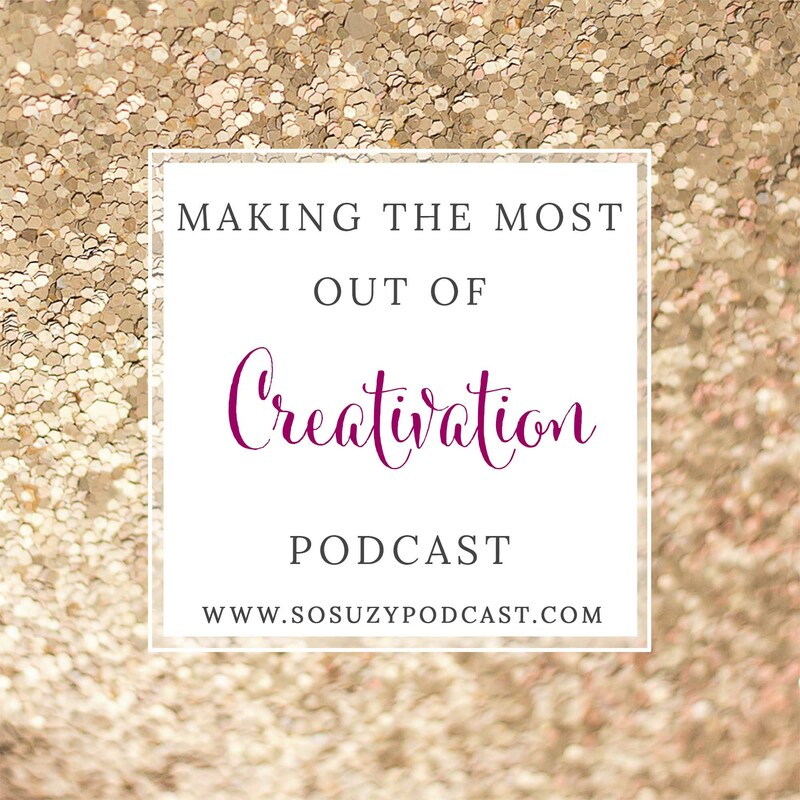 Just be aware that some people are going to be so busy and absorbing all that Creativation has to offer that it may be hard to nail down a specific time. So, don’t become frustrated. Saturday, the doors open to the showroom floor and it is INSANE! Booths are packed, people are everywhere, everyone is trying to spy the latest “hot” item, phones are recording, pictures are being snapped and selfie sticks are out. A lot of vendors will have an opening day show special for buyers. If you are a buyer, use your Creativation app, plot out the booths you want to hit FIRST. Keep in mind they are going to be jam packed and busy, so plan your most important vendor first. Go directly to the booth, do not dawdle, just go. If you are there to mingle, socialize and make connections, I suggest you walk the whole floor, look at the booths, see what is going on and stay in background. Let the vendors and buyers have their moment. Check out the smaller booths, maybe the lesser known companies, who don’t have people in their spaces. See what they have to offer, take the pictures, post them on social media. Help get their message and products out there. By midday, things will start to settle down and this is your time to check out the new products, introduce yourself to your favorite companies, just a quick into. Keep it short, make your own personal notes of the products, people and companies that interest you for later on in the weekend. Sunday the showroom floor starts to die down a bit, especially in the afternoon. If you are there to make the connections and see your favorite companies, this is the best time to scoot in their booths, to get the selfies, to say hello. Check out all of the cool new toys, post pictures on social media, share what you are excited about. Monday, oh my! This is HEAVEN! The showroom floor is typically super chill and regardless of your reason for going, THIS is the day your magic will happen. Buyers, take advantage of the quietness to really talk to the vendors, to place your order, to go over marketing ideas with the designers and see what else they may have to help out your shop. Influencers, go back and reconnect to those companies you are interested in. Take pictures, post them on social media, tag the company, talk to them about guest designer spots or becoming an ambassador for them. Create a special photo album on your phone for your sample work so you can show them without having to zip past kid and pet photos. Make sure you take one of their business cards and send them an email to thank them for their time. If you took a selfie with them, include the photo in the email so they can put a face to the name. Things are crazy and everyone’s brains go to mush after the event. Don’t expect them to remember EXACTLY who you are. Help them out by sending the photo and a recap of what you spoke about. For the social butterflies, you can help everyone out by communicating your excitement. If you are talking to random people and new-found friends, tell them which companies are your favorite, the booths that are super cool and nifty new products that you saw. Post those on social media, tag the people and companies. The more exposure you give the event, vendors and people you meet, the more successful it becomes. Be the excitement! Build the enthusiasm! Share the epic coolness you find! Creativation has so much to offer to so many and it is a wonderful excuse for companies to come together and meet the people who have been on their design teams over the years. This was definitely my favorite part of going, being able to give Martha Lucia a huge hug, seeing Stephanie Ackerman, being surprised meeting Jenny Johnson, scaring the living daylights out of Kymona Tracey, shopping with Jennifer Loftfield, plotting with Justine Hovey and laughing uncontrollably with Josefine Fourage. Meeting in person the women who helped build So Suzy Stamps. If you are a stamp company and you are meeting your design team for the first time, make the time to say hi. Even if it is just for a moment, hug them and tell them how important they are to you and your company. It may not always be possible, but if you can see about getting together for a group photo. This may be nearly impossible with everyone’s schedule, but I really wish I had done this in the past. Let’s face it, this may be one of the rare opportunities a lot of you are in the same room together. Justine Hovey put together a special Facebook Group for people who are attending Creativation this year as a way to find out who all was going and schedule times for people to meet up. If you are going and would like to join the group, we will have a link in the show notes or you can search for it under Stampers going to AFCI/Creativation. It’s a great way to find out who is going in your craft circle before the event instead of after! Plus, it will be the easiest and fastest way to find out where and when Javi hour will be! I was so excited to learn that Miss Dayna is flying in from Hawaii for Creativation and she was asking what to do on her long flight to the mainland and I am going to recommend that all of you take some time this weekend or on your flight to Phoenix, to think about your Why, write down the reason you are going to Creativation, what your goals are for the event, make a list of people who you would like to meet and try to schedule some time with those on your priority list. It's going to be a fun filled time and for those of you going, I can’t wait to see you!! Until next time, this is Suzanne, and you have been listening to the So Suzy Podcast.